Once the most widespread fish in the Gila River basin (including Santa Cruz River), the Gila topminnow now claims Cienega Creek as its last stronghold in the United States. This guppy-like fish is good at thriving in less than ideal water conditions and loves to feast on mosquito larva. Males turn dark brown or black during the breeding season. 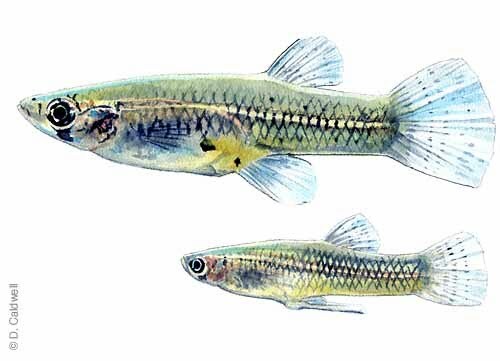 Loss of habitat and the introduction of non-native fish, especially the very similar mosquitofish, have eliminated this species from most of its former range. This small fish has been widely introduced around the world for mosquito control. 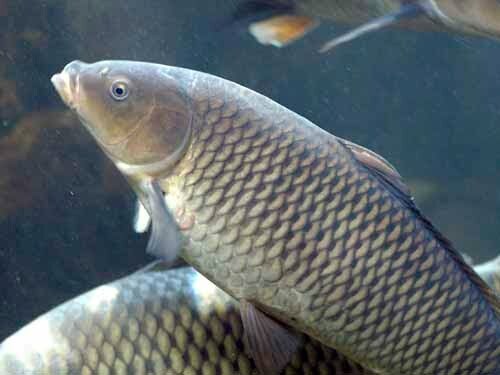 A very aggressive feeder and breeder, it out-competes our native fish and will readily feed on young topminnows. 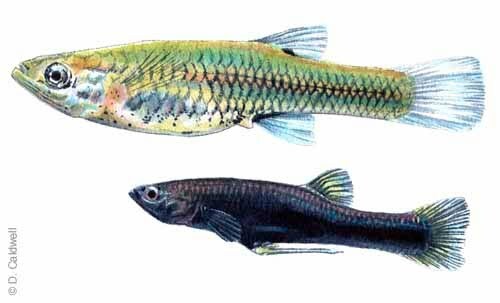 This species is considered the most pressing threat to the native fish community of Cienega Creek, especially the Gila Topminnow population, and should be kept out of the entire watershed. It is no better than the topminnow at controlling mosquitoes, and perhaps less efficient. A native minnow that is superbly adapted to the dramatic fluctuations of life in Arizona streams. Dace thrive in fast-flowing waters. Powerful swimmers, they are capable of escaping flash floods, yet when the streams dry during droughts, they can survive for days in tiny stagnant pools or wiggle into wet algae mats to avoid the hot sun. Longfin dace are the only native fish in our area that has not yet been listed as endangered. This is the largest of our Cienega Creek fish. Gila chub are a shy species preferring deep pools where they are not easy to observe. They are currently found in only a few other drainages in Arizona, and Cienega Creek is among the most secure populations left. Loss of habitat and introduction of non-native fish, especially green sunfish, has primarily contributed to its decline. 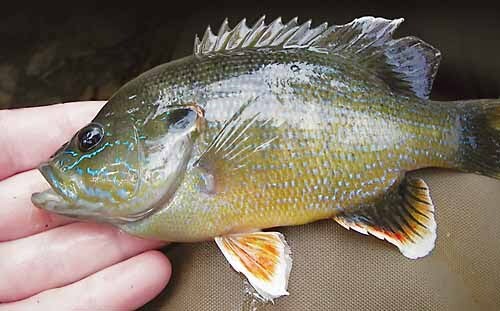 Although similar to the bluegill, the green sunfish is better adapted to life in Arizona streams, and has invaded many of our rivers and streams. Green sunfish eat native fish, frogs and eliminate the water insects that are critical in natural food chains. Green sunfish are often stocked in ponds by well-intentioned sportsmen but these fish wreak havoc with native species, and usually become stunted and undesirable for angling. Similar to the green sunfish, bluegill are often stocked in ponds by well-intentioned sportsmen but these fish prevent the establishment of native frog species. Worse still, they avoid eating bullfrogs, but eliminate most of the predatory aquatic insects that do eat bullfrog tadpoles, leading to huge bullfrog populations that overwhelm the landscape. 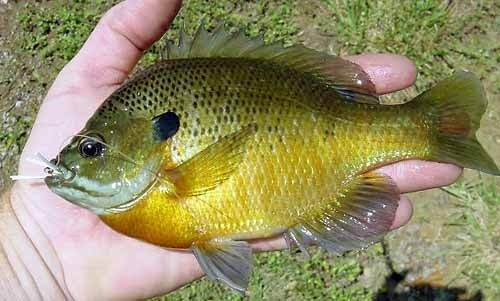 However, the bluegill is poorly adapted to life in Arizona streams and cienegas, so is less invasive than the green sunfish. A popular sportfish this fish is prized for its size and aggressiveness. Both qualities make it a dangerous predator to some of our smaller animals especially fish, frogs and turtles. On the other hand, largemouth bass are the only fish that does not always find bullfrog tadpoles distasteful. Bass are often stocked in ponds by well-intentioned sportsmen. Like the bluegill, bass are only moderately invasive in streams in southeastern Arizona, but when they do get establish, they can rapidly drive other fish to extinction, which is what happened to the last population of the Santa Cruz Pupfish, at Monkey Springs. 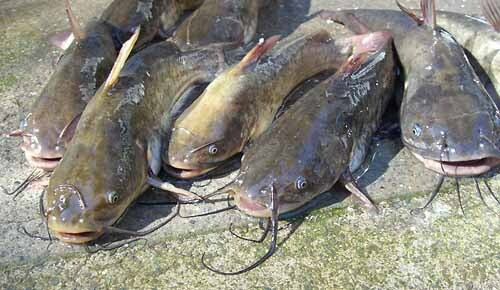 Bullhead and their larger cousins, channel catfish, are another set of sport fish often stocked in large permanent ponds by sportsmen. Bullheads are very tolerant of poor water conditions and pose a serious threat to Cienega Creek. They readily feed on native fish frogs, tadpoles, fishes, and, possibly, young turtles. 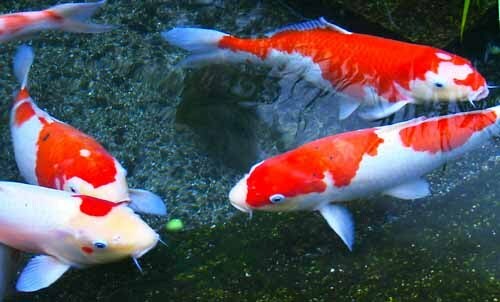 Goldfish Koi and Carp are popular with ornamental water gardeners and are a key component of most lily ponds. 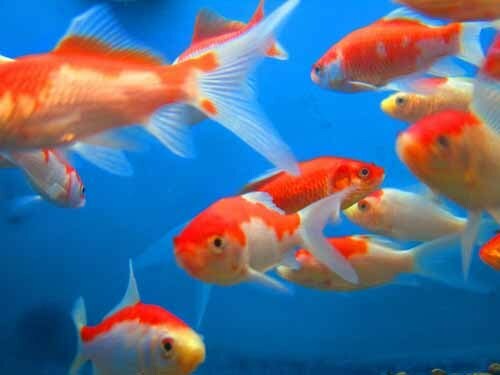 Because of their popularity, they are both readily available at most pet stores and pond supply stores. These fish are scavengers that eat native frog tadpoles, but are less adaptable than the mosquitofish therefore a potential alternative for mosquito control in a secure garden pond.